Stainless Steel Biological Laboratory Sink that we offer is specifically designed to provide a solid work surface and washing area. It is built using quality approved 14 Ga. 304 stainless steel that adds durability to the product. It comes with a swivel gooseneck faucet, wing handles and heavy duty leveling feet. An optional 4" back splash is available along with square tubing frame. 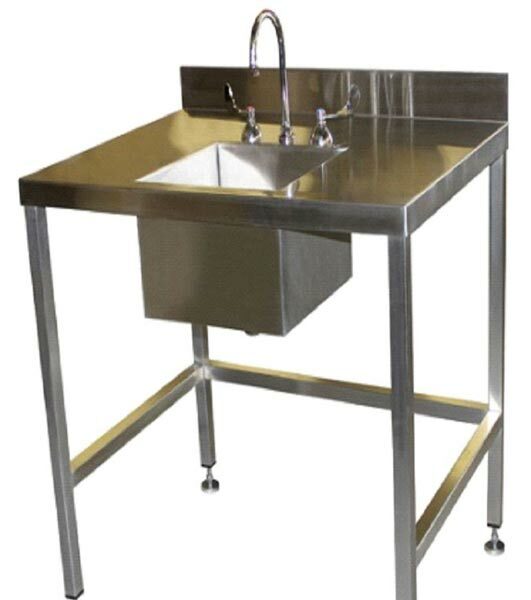 Biological Laboratory Sink can be obtained from us at a very reasonable price.